Queens Of The Stone Age are keeping anticipation high for their forthcoming album, and just this morning another animated video found its way online. Either the shortest song on the record or an interlude to beat all other interludes, “Kalopsia” arrived this morning coupled with a gorgeous, albeit somewhat disturbing animated video. The sound of the song fits with the overall sonic feel gathered from the material that has surfaced from the new album thus far, but one could argue this is (at times) the most reserved of the set. With the exception of the final twenty seconds, the majority of this track is quiet and subdued, like an animal waiting to pounce, and once that leap to life occurs it may be entirely impossible for you to sit still. 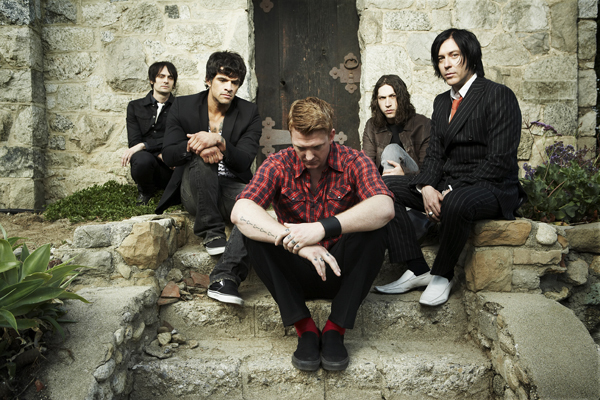 When QOTSA hit their stride they do it with style, and this song is no exception. You can view the video below. …Like Clockwork is expected to arrive in stores on June 4. If you enjoy “Kalopsia,” click here and pre-order the album.